We do not curently have theatre tickets available for Jack Maynard This could be because we have simply sold out or it could be that this show is no longer running. The information on this page remains purely for historical and informational purposes. 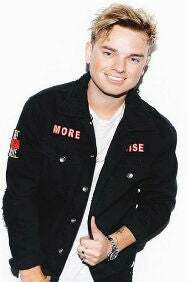 One of the UK’s leading social influencers, Jack Maynard, is heading out on his first solo tour in the autumn and you’re all invited. The shows will see Jack perform a headline DJ set, with some very special surprise guests for a night that you won’t forget.